It’s taken me a while, but I’ve finally managed to get my broadband connected, and unpack some skincare! Moving to a new house is always stressful, but I had somehow managed to schedule my move for the beginning of a new financial year, and the end of my probationary period at work. As I’m an accountant, April is a pretty busy month anyway, but … anyway. Never again. 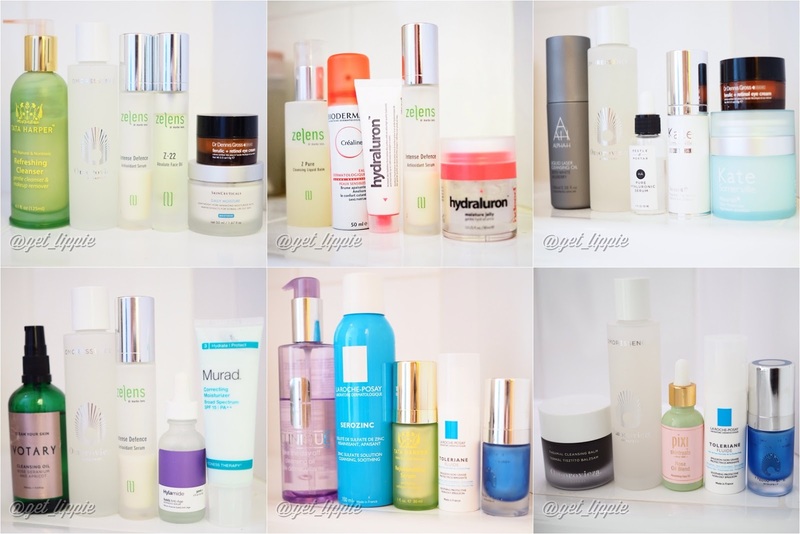 Skincare-wise, I’ve been using pretty much everything in my day-to-day collection this week, as I’ve been happy to be reunited with it – we’ve been living out of boxes for so long now, it’s felt a bit like emerging from a cardboard forest! – but the two products I’ve used most are the Zelens Best Defence Antioxidant serum, and the Omorovicza Omoressence. I’m a big fan of the Antioxidant Serum anyway – as you can probably tell from the amount left in the bottle – and I use this a minimum of three times a week, and it’s great for slightly sensitised skin, and feels very protecting. It has been really cold this week, and I really do find this protecting. The Omorovicza Omoressence, I love. I was initially sceptical – I do find Omorovicza can overclaim somewhat on their product descriptions – but I do love the velvety-feeling I get after using this, and it does seem to keep my face calm. I’ll be doing a full review of this soon, but I genuinely really like it. No a huge fan of the glass bottle – it has a shaker, and it can get slippery, but a great product inside. Other things I’ve tried this week include the Murad Colour Correcting Moisturiser. I’m very pink-toned naturally, and this light green moisturiser helps tone that down slightly. In conjunction with a slightly yellow-toned powder, it works really well. I’m not entirely sure it’s moisturising enough, but a few more uses should help me figure that out.